How long does it take to compare the data in all of the locations that you examine? Imagine that it now takes several seconds and you see your data on the selected map of the country, continent or the world. Automatic generation of map data values ​​from raw Excel values is a completely new standard of work. VTMaps runs from MS Excel, you do not have to leave the table to translate its contents on the map. Its generation takes just a few clicks, and export to other documents including MS Office – several more. If you can use MS Excel, you already know to use VTMaps. Business data visualization on maps makes it possible to make optimal business decisions. A map of your company’s data displays and allows you to analyze business trends and presents opportunities for your business. How to create a map? Vertex maps are precisely drawn in excellent quality. The names of countries, cities, regions are recognizable in many languages. It is an ideal tool for those who want accuracy and perfection in their presentation. High-resolution maps show the material in any form. or spice up a brochure or catalog, adding a map of the selected region. With the VT MAPS product you can present in a simple and intuitive manner everything based on the figures: presentation and analysis of financial results, accounting data, points of sale, advertising effectiveness, commercial market data, demand, profitability, and many others. The industry really does not make any difference. "It's amazing how easy it is to see something that previously required many days of analysis"
"We managed to suprise everyone with great Power Point presentations." "We got VTMaps for testing at our company and decided to try it. The application is great, you can easily show your data on a map without boring anyone with explanations." 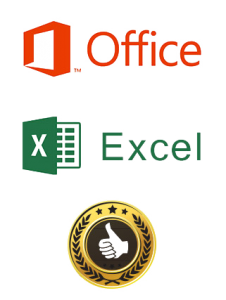 Is the world of Excel your world? That’s great. VTMaps is designed for people who work in MS Excel every day. Select your version of the solution, install it and enjoy – everything is ready immediately after installation. Vertex Technology Sp. z o.o. © Vertex Technology Sp. z o.o.